Tackle those miles one by one. 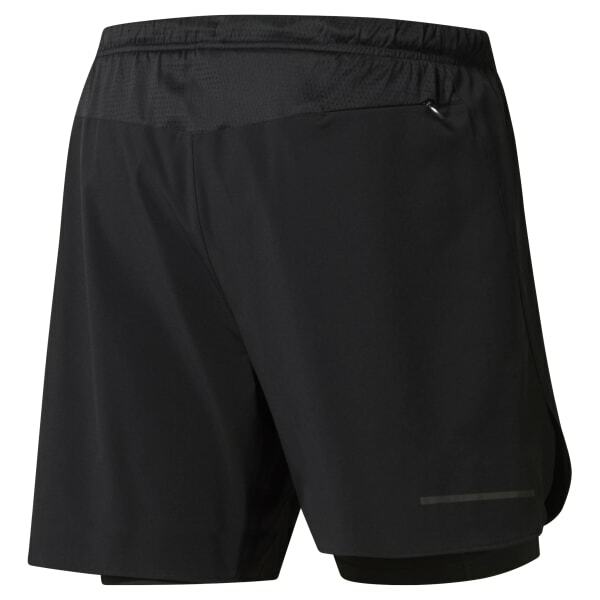 These men's 2-in-1 shorts keep you happy late into your run thanks to secure coverage from the fitted inner shorts. When you're going long, Speedwick technology helps handle sweat. A draw cord around the waistband adjusts for a 'just right' fit.